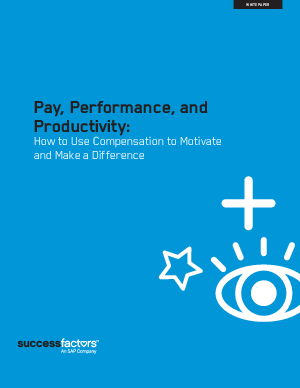 A well-designed compensation strategy that connects performance and rewards benefits both employers and employees. But when budgets are tight, many small and midsize companies face a serious dilemma: How can you reward employees in ways that encourage high performance and ensure retention, yet still hold steady on operational and payroll costs? Find out in this white paper-compliments of SuccessFactors-today.